Department of Administrative Reforms & Public Grievances provides the service to complaint against any bank across the country if you feel the service provided by the respective banks not upto the mark. You can lodge any type of complaint against the bank. After lodging the complaint bank officials will contact you within the stipulated time periods. 1. 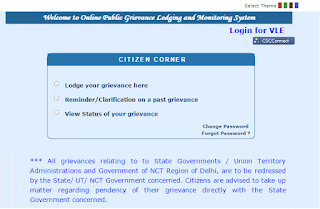 Visit PUBLIC GRIEVANCES portal. 2. Click on "Lodge your grievance" link. 3. 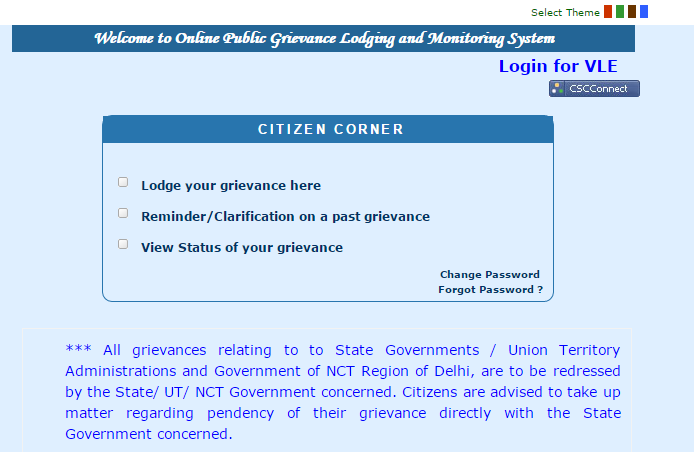 Select "Public Grievance" option. - Select "Department of Financial Services (Banking Division)" in Select Ministry/Departments section. - Write complaint details in Grievance Description box. You can enter details upto 3866 characters. 5. Click on submit button to submit the complaint. Please note down the complaint number for your future reference, You can check the status of complaint through this number. You will also get the complaint number if you have provided your email id. Bank officials will contact you or you will get the email about the resolution of complaint within the stipulated period.